Canada Goose parkas are built to last a decade, if not a lifetime. With such high-end products, both in terms of cost and value, you want to make sure you get the right one. But it’s not just a question of choosing between the Kensington and the Trillium or between the Chilliwack and the Expedition; you also have to choose the right size. But wait! It’s not that simple. It never is in fact. But enough of my cynicism, although the sizing charts indicate the body size a jacket was made for, it is quite important to take into consideration the fit. Canada Goose uses three different fits, Slim, Regular and Relaxed. You’ll find that slim fit Canada Goose jackets are tighter than the average fit you’re used to wearing. If you like a fit that’s very close to the body, this one’s for you. If you are debating between two sizes, you should consider the larger of the two. You’ll find that the regular fit Canada Goose parkas have a pretty average fit, if slightly looser than most. You should simply get your normal size. Those who want it close to the body should be careful because ordering a size too small will mean sleeves that are too short. Relaxed in this case is an understatement. They are very loose. Perhaps the loosest you’ll ever wear in the corresponding size. This extra room has a function. In the coldest environments, on the coldest days, you’ll want to be able to add some layers. The looseness allows just that; it means you can easily add a good 10-15°C to your jacket. Despite the looseness, all relaxed fit Canada Goose coats are still made for the body indicated in the sizing chart. If you are debating between two sizes, feel free to order the smaller one. If you are looking to downsize more than one size for a trimmer fit, you should think about getting another model. To find your perfect winter coat, you can check out our choosing the right winter jacket guide for some helpful tips. If you’re juggling between two sizes and are not sure which one is the right fit for you, we’ve got a guide with some helpful tips so you can be sure you’ve chosen the right sized winter jacket. There is 165 thoughts on this article titled “Canada Goose Sizing Chart”. Hey im 6’2 and 160 should and i have a small chateau CG and its too tight i feel when zipped up. Should i get medium or large? If you think the arms will be long enough, go for the Medium. The Large will probably fit better, but it will be loose in the body. My name is Matt and I am very interested in the MIlitary Green Chateau Men’s Parka. I am 6 foot approximately 203 pounds. I have a larger chest at about 45 inches. I am worried the Large could be tighter so I thought the XL would be the best option. I dont want the jacket to swim on me though. I have OCD with sizing and I want the best fit possible. Let me know Thanks for your help. Hey Matt, I’ll be honest here. As a fellow OCDer with fit I can only suggest you order the Large and the XLarge and return the one you don’t want. I AM 5’6 185 LBS LOOKING FOR EXPEDITION . WHICH SIZE WOULD BE GOOD. Hey Riaz, it is hard to say with just these measurements. I would say probably Medium. Best thing to do is measure around your chest and look at the chart. Hi Mark I got a youth Britannia jacket last Christmas. I wore it all winter but did not find it as warm as the $350 Community Paradigm parka I got from Aritzia. I know the youth jackets do not undergo a temperature testing. Are they of the same quality as the Adult jackets? I’m thinking of getting a Kensington but don’t want to waste money if it isn’t warmer than the youth Britannia. Hey Kait, I’m not too familiar with the Britannia, but in general the products for kids are not filled with as much down (they are smaller and do not get as cold as us). I would say with certainty that the Kensington will be warmer. That is the case I have seen with all other brands. What size expedition should I be getting. Hey Kevin, I think because of your chest size I wold go with the Medium. But be prepared for the sleeves to be a little long. Luckily the Expedition has the snug wrists so the sleeves do not slide down passed the wrist. Hey Ja Dean, all I would say is choose if you want the chest area to be loose or snug. I think you could fit into both easily, but think if you wear things underneath during the winter. My suggestions would be to go with the XS so you have more freedom of movement and do not feel suffocated. 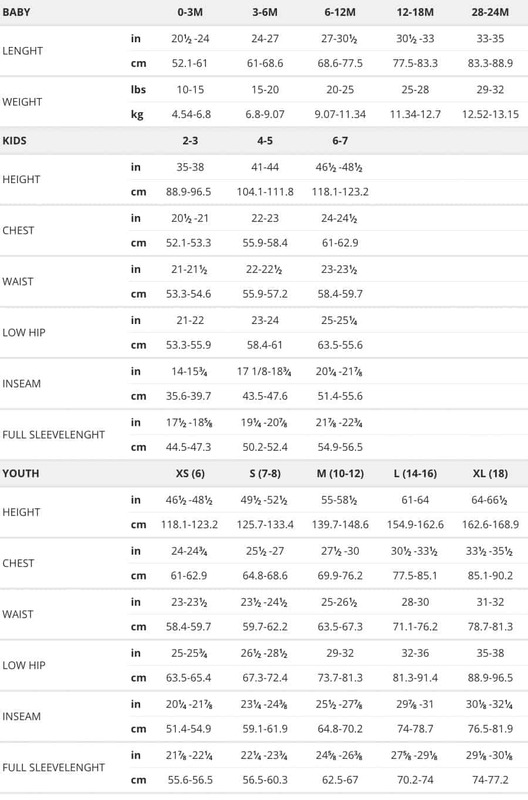 Im 173 cm and 136 pounds….what size sould i get if i want a regular fit? Hey Joe, measure up your chest and waist with a tape measure and the Canada goose chart will give you the best answer. Height and weight are a secondary factor.